Santo Grial Pension Residencia has rooms which are housed is a historic listed building totally renovated to a very good standard of comfort and facilities. It is not adapted for handicapped people. 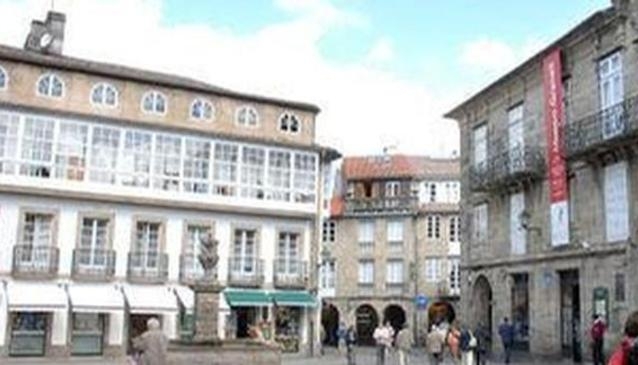 This charming establishment is located just 300 metres away from the unique cathedral in the centre of the old quarter of Santiago de Compostela. It is surrounded by shops, restaurants and traditional bars. Just next door is Rua do Franco the most typical street for tapas and drinks. Since there is no reception at the property itself from 22.00pm till 10.00am all arrivals must provide a personal mobile phone number to be contacted or call 0034 629515961 to inform in advance the estimated arrival time to be met at the Pension Santo Grial and collet the key.